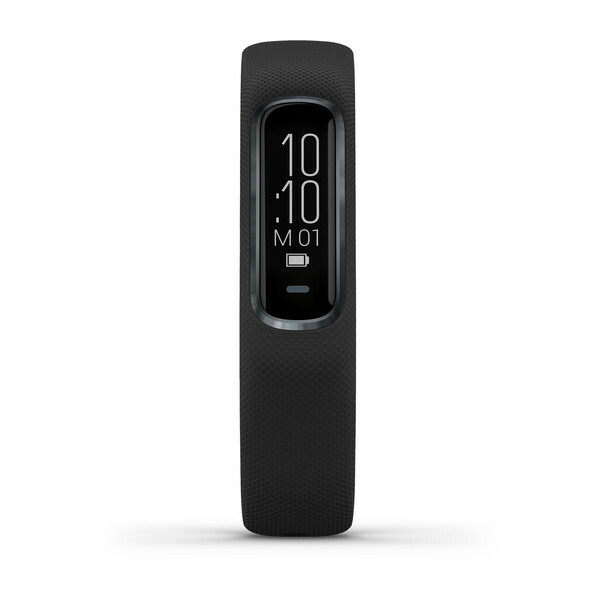 Accent your style while enhancing your fitness with our vívosmart 4 activity tracker. 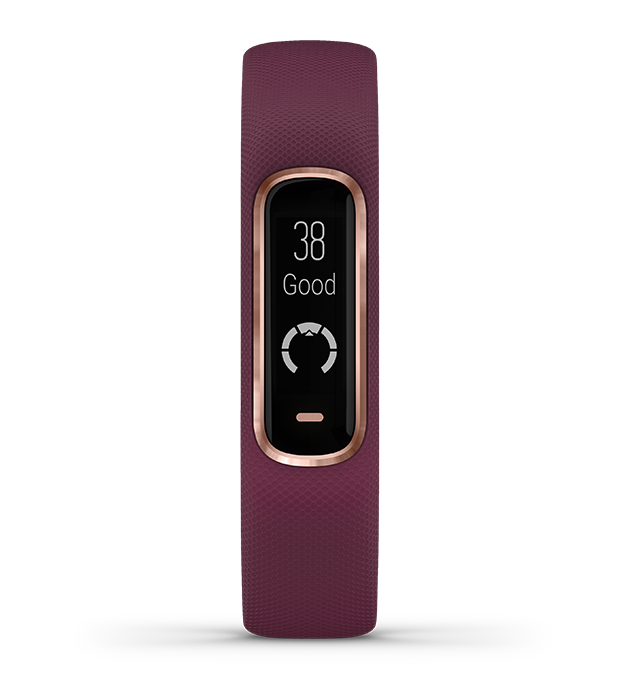 This slim, swim-friendly wearable comes loaded with fitness and wellness features to help you make the most of a healthier, more active lifestyle. A wrist-based Pulse Ox sensor lets you estimate blood oxygen saturation while you’re sleeping — or you can spot-check your oxygen levels anytime during the day. 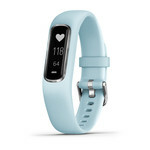 The device also monitors heart rate at the wrist and includes helpful tools such as all-day stress tracking, a relaxation breathing timer and VO2 max readings. 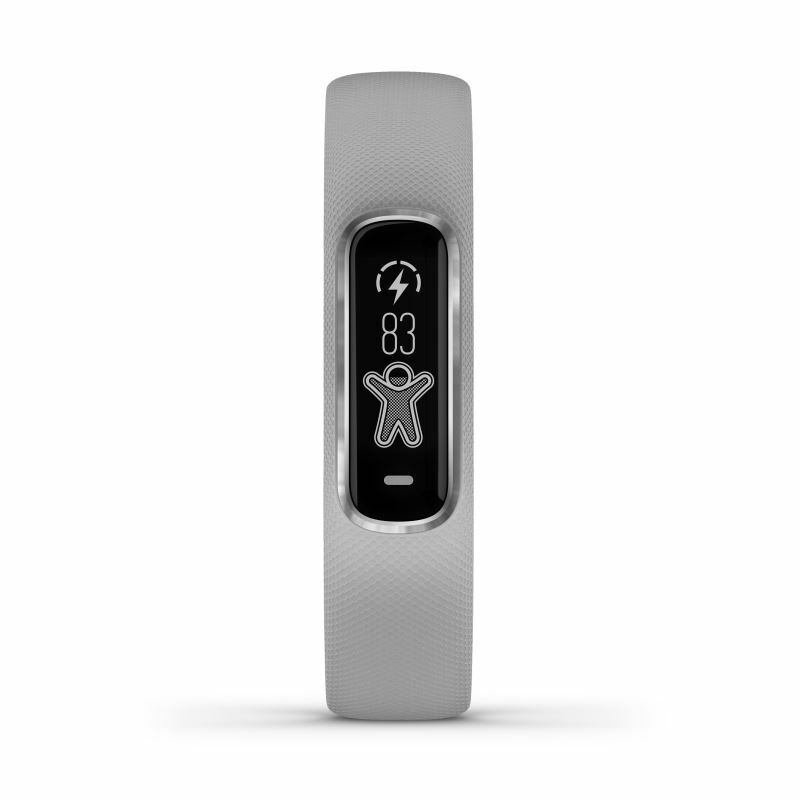 Plus, Body Battery energy monitoring helps you know when you’re primed to be active or when you may need to rest. Safe for the pool or shower, vívosmart 4 keeps you going strong with up to 7 days of battery life — while smart notifications with vibration alerts help you stay connected on the go (when connected to a compatible smartphone). 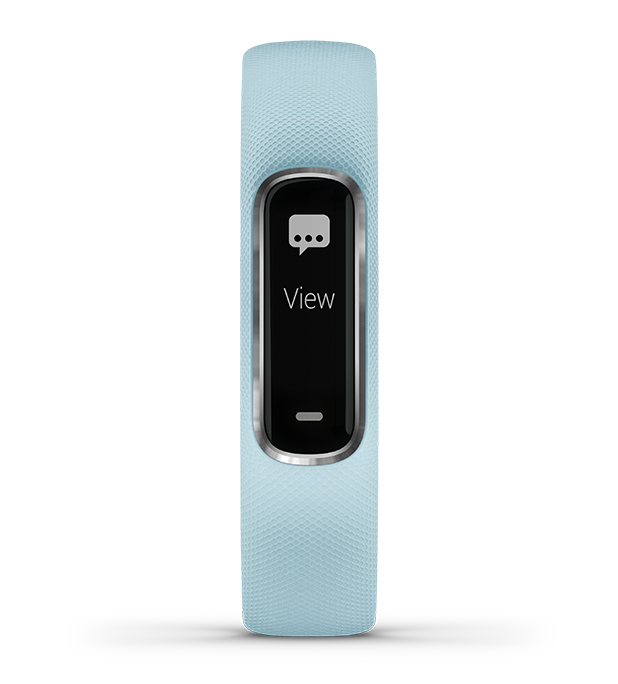 This slim wristband tracker, available in multiple colours, complements your style with its distinctive design, metal trim accents and bright, easy-to-read display. The display is only on when you need it. And when it's on, it auto-adjusts to ambient light levels, so it's visible even in bright sunlight. Whether you're going to the office, the gym, the pool or anywhere in between, vívosmart 4 is the perfect fit for your lifestyle. 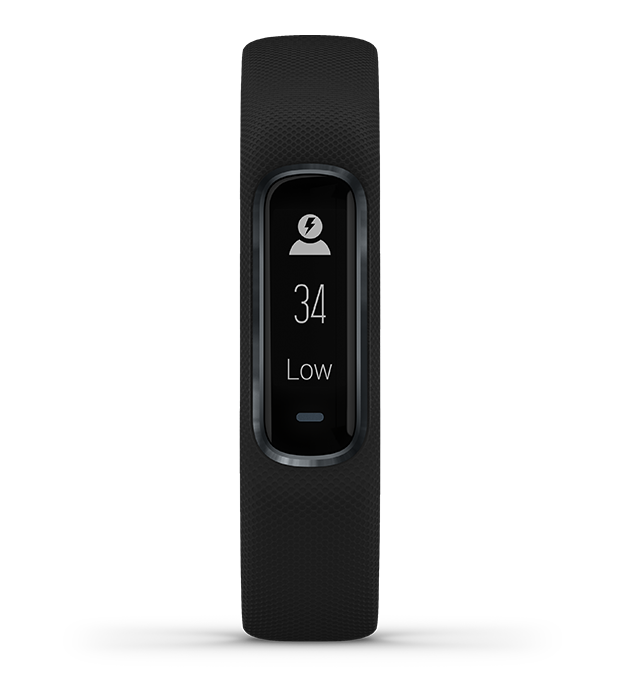 Body Battery energy monitoring on vívosmart 4 uses a combination of stress, heart rate variability (HRV), sleep and activity data to gauge your body's energy reserves at any moment, so you can plan your day to optimise times for activity and rest. A higher number indicates you're ready to be active, while a lower number suggests you might need to relax and rest a bit before tackling a workout. Body Battery can also help you make sense of patterns throughout your weeks, so you can understand how the past few days have influenced how you're feeling today. You most likely experience stress at some point in your day, but how much? Your vívosmart 4 lets you know when you are having a calm, balanced or stressful day and everything in between. Tracking your HRV (the time interval between each heartbeat), vívosmart 4 calculates and displays your stress level. There's also an optional "Relax Reminder" feature that you can turn on in the Garmin Connect app. 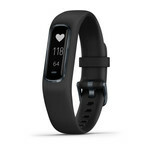 If your stress level gets elevated during your day, it will provide a vibration alert on your wrist and display a message ("Take a moment to breathe?") to let you know it's time to relax. Use the relaxation breathing timer, which walks you through the Fourfold breathing technique, proven to calm your mind and body. 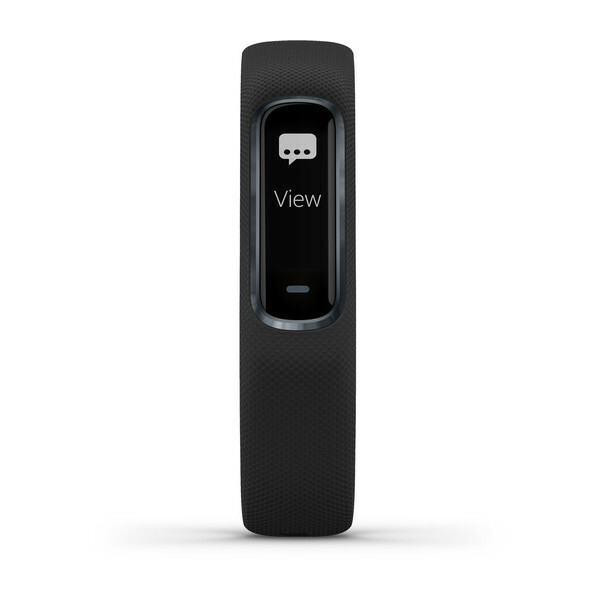 Your vívosmart 4 greets you each day with a personalised step goal. Then it tracks and displays your progress. 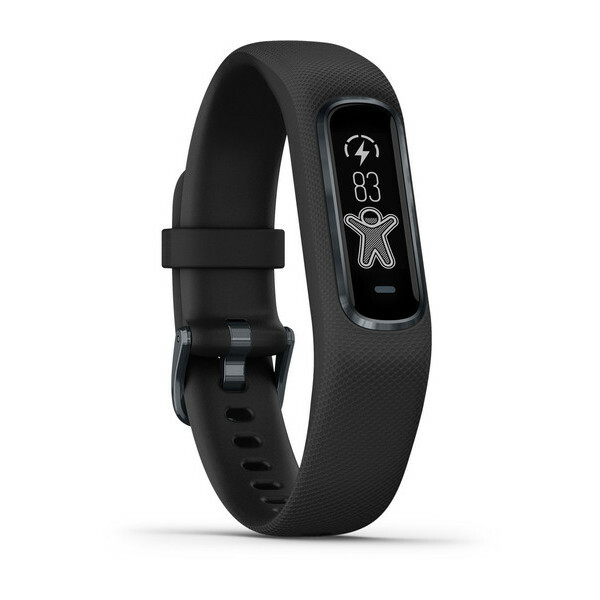 In addition to steps, its activity tracking capabilities include floors climbed, calories burned, intensity minutes and more. 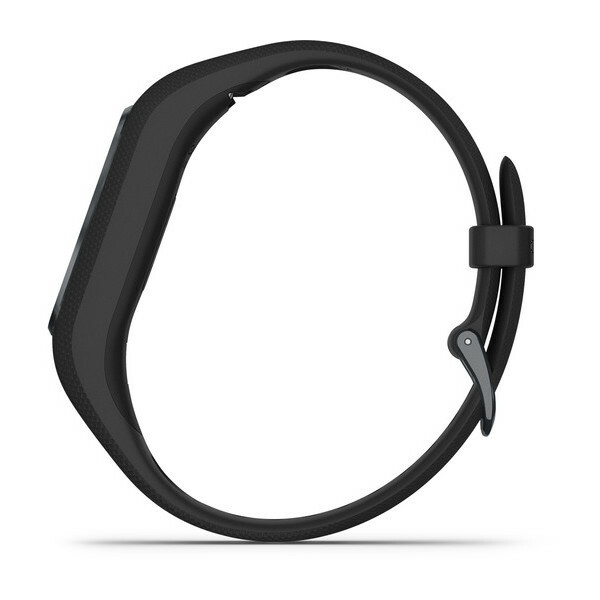 You'll also see a move bar and get vibration alerts to remind you when it's time to get up and move. 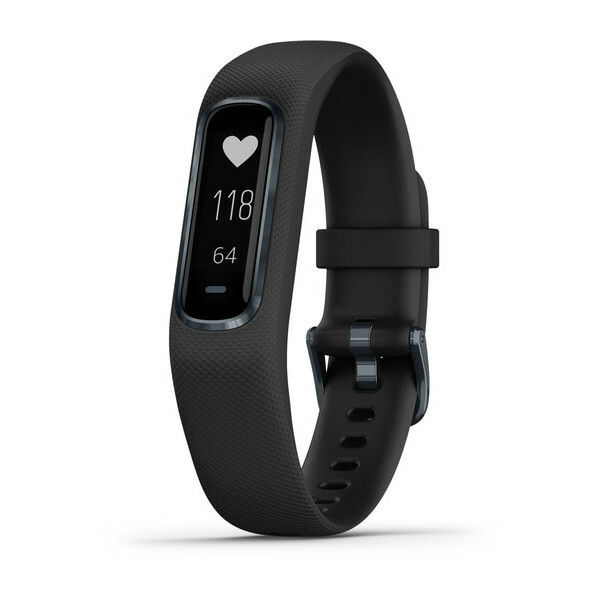 Using the Elevate™ heart rate data collected from your wrist, vívosmart 4 can — with a VO2 max estimate — give you an idea of your current fitness level. In general, as your aerobic fitness increases, your VO2 max does the same. Based on your VO2 max, vívosmart 4 is also able to estimate your fitness age — a stat that you may be able to decrease over time with hard work and exercise. 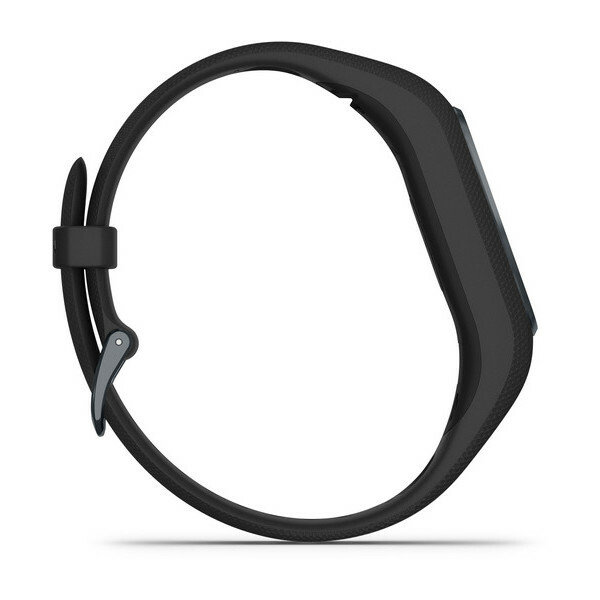 For added insight, vívosmart 4 will notify you if your heart rate unexpectedly rises above a threshold you’ve set. If you're inactive for more than 10 minutes and your heart rate stays above your set threshold, you’ll get an alert. With a vívosmart 4 tracker on your wrist, you don't have to choose between staying connected and staying more active. Check the weather, control your music, receive smart notifications, find your phone, even reply with preset text responses (Android only), and access social media notifications on your tracker's display — all while keeping your smartphone stowed away. Keeping an eye on your activities and achievements is easy with vívosmart 4. 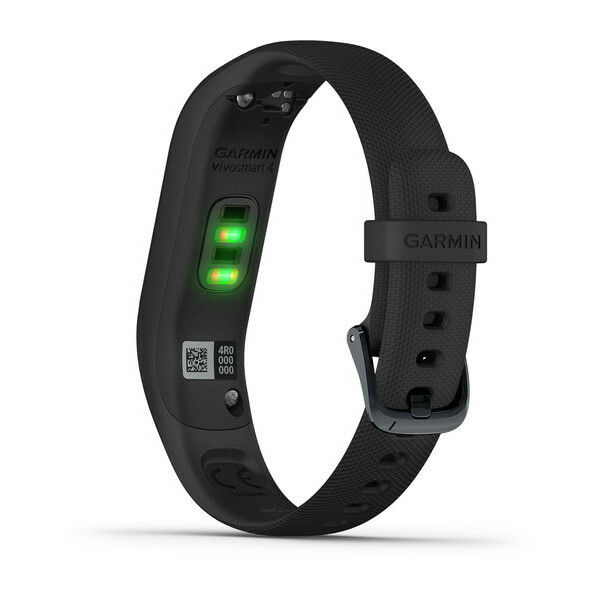 Your tracker automatically syncs to our Garmin Connect online community, where you can review your progress, join challenges, earn colourful badges and even share via social media. 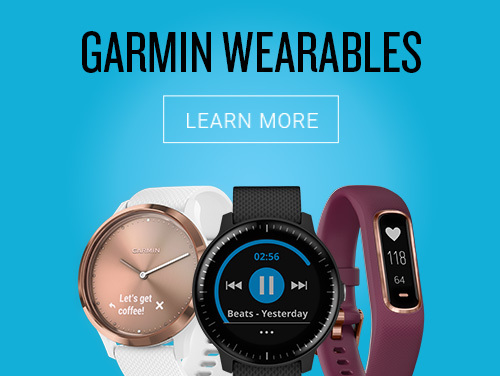 Garmin Connect is free and available on the web or on your smartphone with the Garmin Connect app. 2 This is not a medical device and is not intended for use in the diagnosis or monitoring of any medical condition; see Garmin.com/ataccuracy. Pulse Ox not available in all countries.